Span Track Carton Flow 96" x 12"
We currently have some span track rollers for 8' wide frame set up. These roller tracks are great for handling small items and boxes. 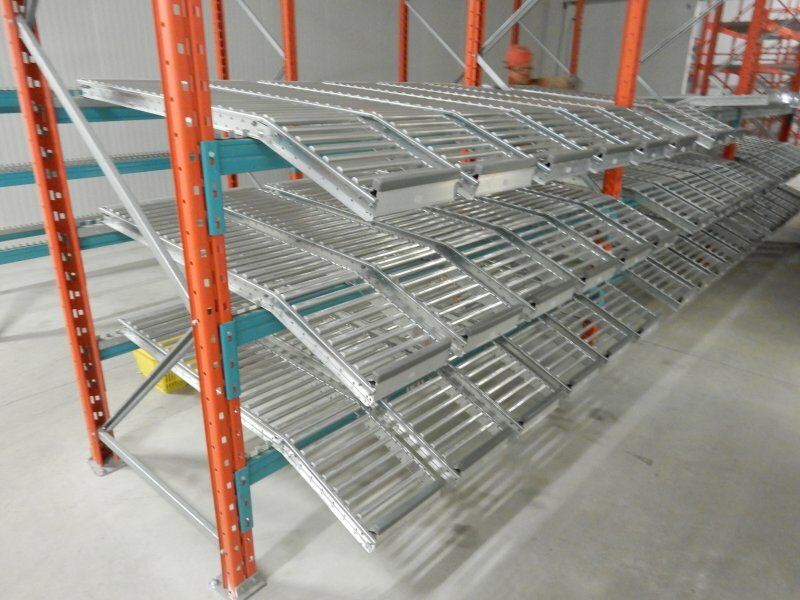 The span track are 12ï¿½ wide 96" long with 12ï¿½ receiving area for cartons. We also have lots of pallet rack options to go with this span track if needed. Asking $45 each sold in sets of 6 for $270 with track to secure to beams. Better price if you take all. Please use the request box below for immediate assistance.